There is always that time were you have the feeling, you NEED to organize your house. 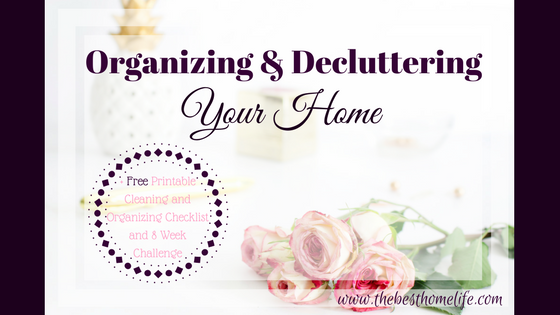 Whether it be spring cleaning, nesting, or the house just really needs to be reorganized, this article helps get you get ready for decluttering the whole house. I am extremely guilty of trying to clean too much at a time and it looks like an explosion went off in my home. By cleaning one area at a time, it helps you see your progress, reduces clutter, and brain fog of where you should place everything. You may be anxious to take on the whole house today but take it easy on yourself and gradually organize so you don’t get burnt out on decluttering and end up quitting. 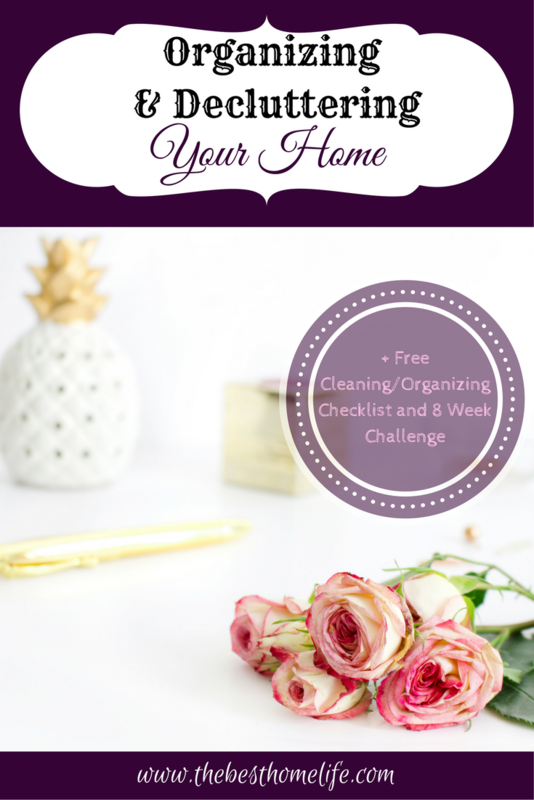 In my FREE printable at the bottom of the page, there is a planner to clean your whole house. You can sell your things online, through a used item store, or a garage sale. Use this box to give away to a charity, thrift store, or to someone you know that will use the item more than you do. There are three questions that may help you continue to keep your home more organized while decluttering. Asking yourself these three questions will help you decide whether you should put some of your items in one of the three boxes.If you answer no to any of the questions, then in a box it goes. There are so many items in our home that we truly do not need. By getting rid of the things we don’t need, we enhance our home’s appearance and boost our productivity because clutter can not just clutter our homes but our mind as well. Anyway more things, mean more things to clean! There can be a lot of items in our homes that we hardly use. Take a good look at each item you are organizing and remember how many times you actually use that item. Would someone else benefit from this more than I do? Don’t keep something simply because it’s yours or you feel like it would be wasteful to throw it away. If you think something would be wasteful to throw away, then give it away or sell it. Don’t keep something just because you have it. By giving everything a place, it keeps things organized longer and looks nicer. You can give your items a place by putting them in certain drawers, boxes, baskets, totes, or shelves. One of my favorite ways to keep my things in the places I want, is to label them. Labeling your containers, helps keep your items in their place after you have organized them. You are less likely to put an item in the wrong place if you have a designated place for it, that is labeled. Chalkboard labels are great for containers and bins that end up having their contents changed. They are also super cute too. I like that you can change writing of the label whenever you need to. They simply wipe off with a damp cloth. Sticker Labels are perfect for when you don’t want to change the contents of your containers. You can use simple white labels or get more decorative ones. There are sometimes nice decorative sticker labels at the dollar store as well. Label Makers make labeling faster and easier to do. If you don’t enjoy the thought of labeling a lot of your containers, a label maker will really help. Make sure your containers are dependable and sturdy. If they are flimsy and break easily, it is wastes money and makes more trash to throw away. Find containers that are the right fit and size for the space you are wanting to place them. Go for containers that are square or rectangular, so there is less wasted space compared to circular containers. To help decrease clutter in your kid’s play area and room, rotate their toys. Decrease the amount of toys they have. Toys should definitely go through the three boxes at least once a year. No, you are not a mean parent if you limit the amount of toys they have. Divide all their toys into two bins. Place one bin out of reach and eyesight, while the other one use for them to play with. If you find that they are starting to get bored of one bin, switch it out for the other. Don’t give up! By giving yourself a time frame of when you are wanting to finish your decluttering, helps you to not give up. 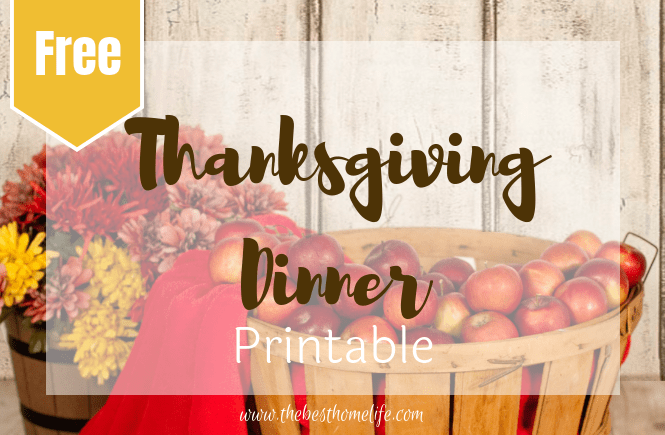 That is why I created a FREE printable just for you. Join me for Spring Cleaning Season and download your FREE printable. It really does :). It helps so much to get your things sorted and in their place properly. One room at a time is key for me. I always want to go overboard and then burn myself out. I am so guilty of trying to keep on top of too many things at a time. Keep going and we’ll get this done!No quitting.? I have been working on decluttering my one a room at a time. It is for sure a time consuming task but i love the feeling of getting rid of stuff. I completely understand.It can be very time consuming, especially if you have little ones around. Yes, it can be extremely time consuming. The feeling of a cleaned and organized home is a wonderful feeling at the end of it all.